EFF Twitter ನಲ್ಲಿ: "Technology users worldwide help teach the CEO of T-Mobile US who EFF is: https://t.co/coMzWodmPI #WeAreEFF"
@EFF he knows who we are. He's just trying to advertise to the millions that don't. #Lazy @EFF @mattl beg individuals, corporations & @Google to amass wealth WHILE @TMobile's @JohnLegere earns his own by hardwork #WeAreEFF? #Jealousy @EFF + @mattl < 330,000 followers Ooo0PS.. WHILE @JohnLegere alone = 150,000,000 not accounting for @TMobile followers. #WeAreEFF? 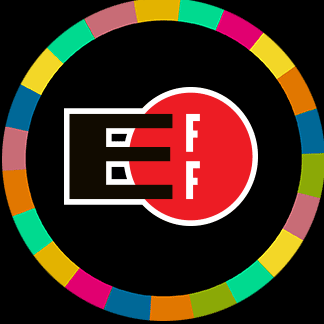 @EFF Discovering violations are only half the battle. Next @TMobile needs to be held responsible for breaking the rules... be in touch. @EFF Now you are acting like internet bully thugs. Lighten up. Shame on @EFF using @TMobile & @JohnLegere for publicity. #EFF = #Assholes no one knew prior to #BingeOn! #WeAreEFF: Are We? #WeAreTMobile! !